Grey sky...grey road...and a BLUE STREAK on wheels! Cyclist at the Buzzards Bay Sprint Triathlon in Westport, MA. Triathlon is a study in contrasts. The open water swim is a contact sport. Other athletes might swim over your back, or kick you in the head! so you'll ride for mile after mile surrounded only by your own thoughts. 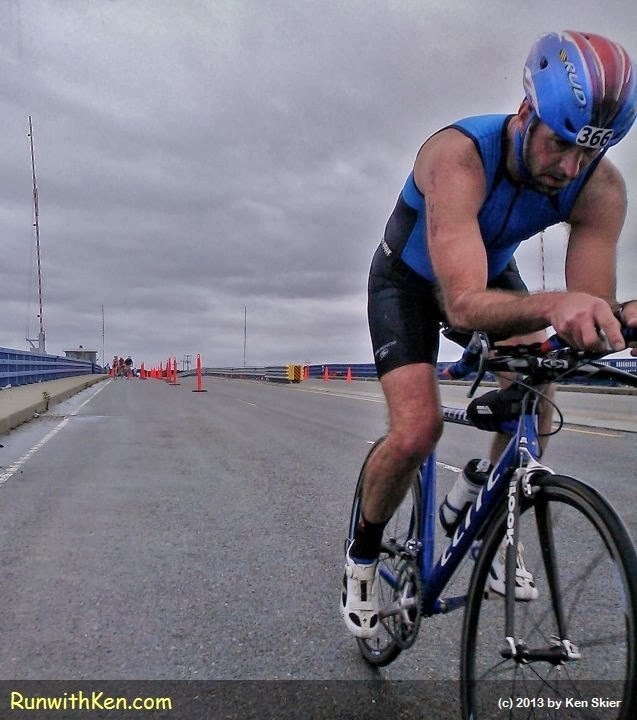 As you can see in this photo I took at the Buzzards Bay Sprint Triathlon.